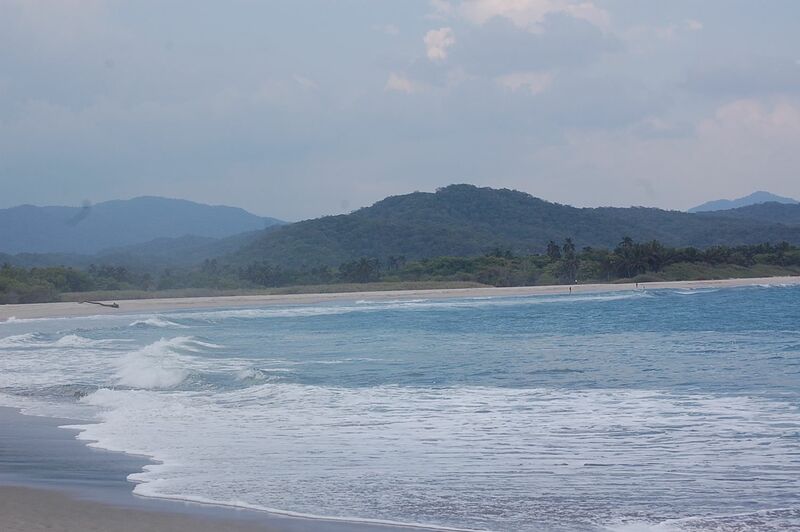 Mazunte is a small fishing village about an hour north of Huatulco in the southern Mexican state of Oaxaca. Its white sand beaches and tranquil waters obscure its deadly past. 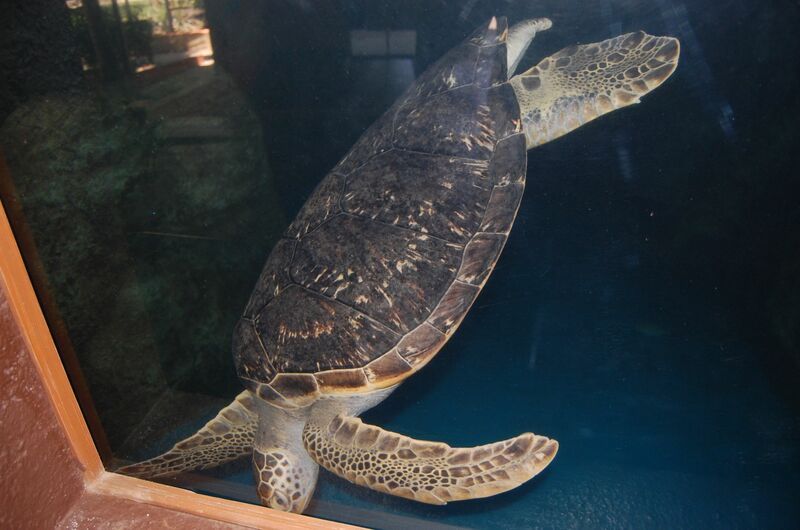 Today, Manuel and his team of biologists, manage a beautiful sea turtle aquarium and museum, as well as conserve some of the world’s most important sea turtle nesting beaches. 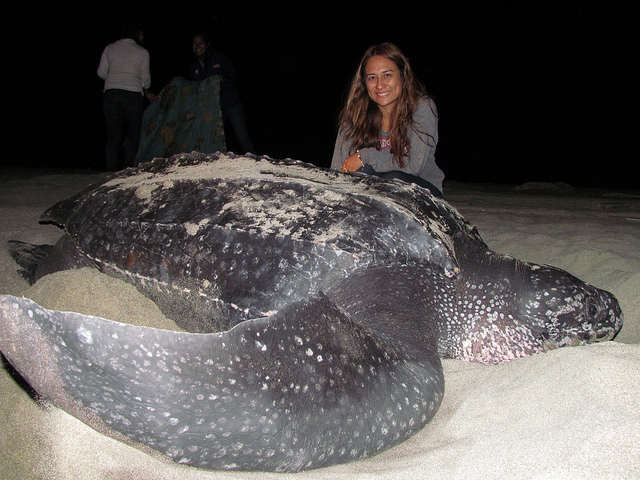 “It is amazing to me that a little more than twenty years ago fishing communities in Oaxaca that made their living from killing sea turtles are the ones who are now investing their efforts in protecting these amazing animals,” said Manuel. I traveled to this unique corner of Mexico to hold an ocean film festival and meet some of the leaders who have made the sea turtle recovery and other coastal conservation success stories possible. I brought along my surfboard in the hopes of catching waves at Puerto Escondido and Barra de la Cruz. Mazunte was a stop on my way north from Huatulco to Puerto Escondido where WiLDCOAST, the conservation organization I run, was holding the first night of the film festival tour. 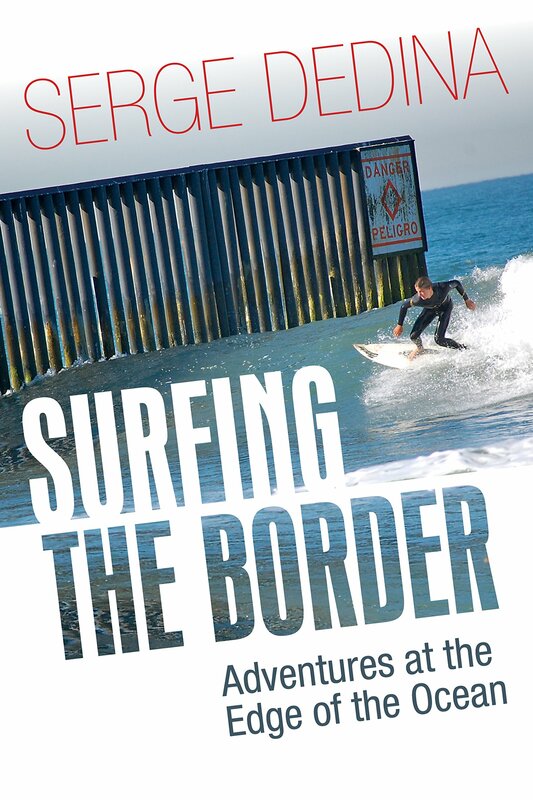 Known as the “Mexican Pipeline” Puerto Escondido is a balmy pleasant town that reminded me of Rosarito Beach back in the 1970s. The beach at Zicatela, where south swells funnel into shallow waters to create arguably one of the world’s heaviest beach breaks, is lined with palapas, restaurants, surf shops and hotels. During south swell season some of the world’s best surfers such as Greg and Rusty Long descend on Puerto to catch dredging barrels with elevator drops. During our event in the town’s main plaza just north of Zicatela, about 250 people, enjoyed our ocean films and learning more about preserving sea turtles. 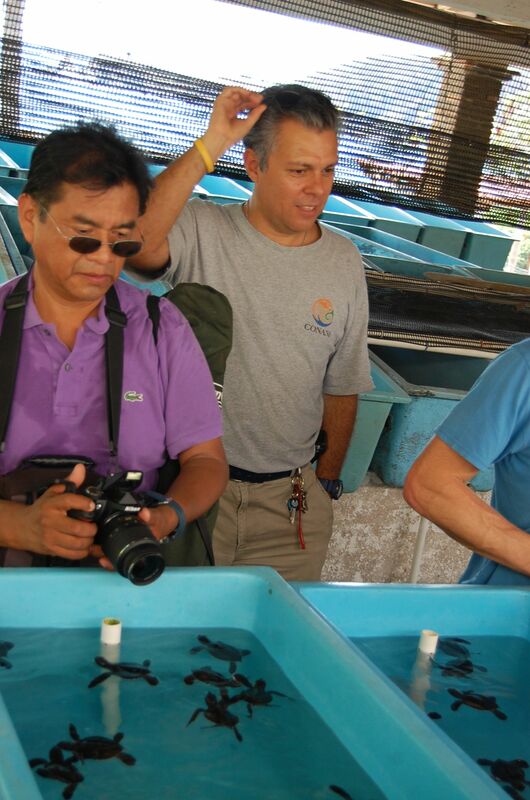 Sergio Flores of WiLDCOAST and Manuel Rodriguez of the Mexican Sea Turtle Center. “We need to take care of our beaches,” said longtime Puerto surfer Roger Ramirez at the event who runs the the Oasis Surf Academy along with his lovely Uruguayan wife Sol. The surfers of Puerto are fighting efforts to develop nearby Punta Colorada, a world-class bodyboarding beach. The next morning, I wandered down to Zicatela. The wind was offshore but the surf was 1-2’ and closed out. 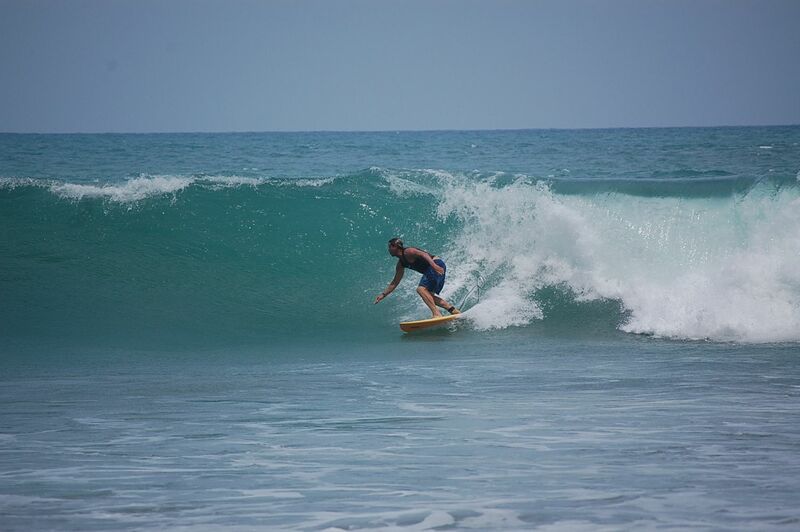 I still enjoyed surfing the warm water micro-barrels. The following day I found myself at a remote beach south of Huatulco surfing dredging barrels at a right-hand point with a few local surfers and my WiLDCOAST colleague Ben McCue. The first south of the season had arrived. Later that afternoon we drove into the village of Barra de la Cruz, about 45 minutes south of Huatulco for the final leg of our film festival. “You have time for a surf,” said Pablo Narvaez, a leader in this indigenous village that is host to one of the world’s most perfect waves and a critical beach for the recovery for endangered leatherback sea turtles. At the beach, Ben and I threw on our trunks and jumped into the water to share a few head high point waves with an eclectic group of local surfers and visitors from Brazil and Ireland. About an hour later, we caught up with Pablo and the town’s leaders as we screened films for about 200 local children and their parents. Pablo pointing making a point with me and Ben McCue in Barra de la Cruz. The community of Barra de la Cruz is run in the old ways. The beach has been left undeveloped. Residents volunteer their time to staff a small surfside palapa restaurant. 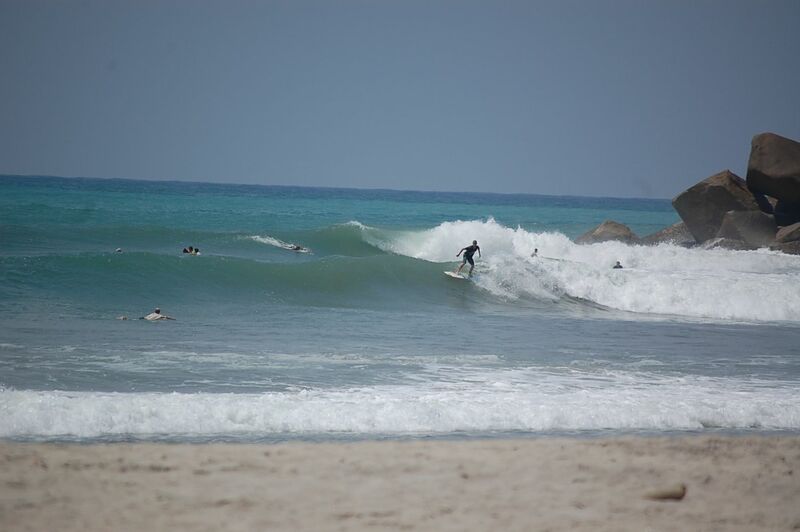 Surfers pay a twenty-peso entrance fee to use the beach and clean bathrooms with showers. 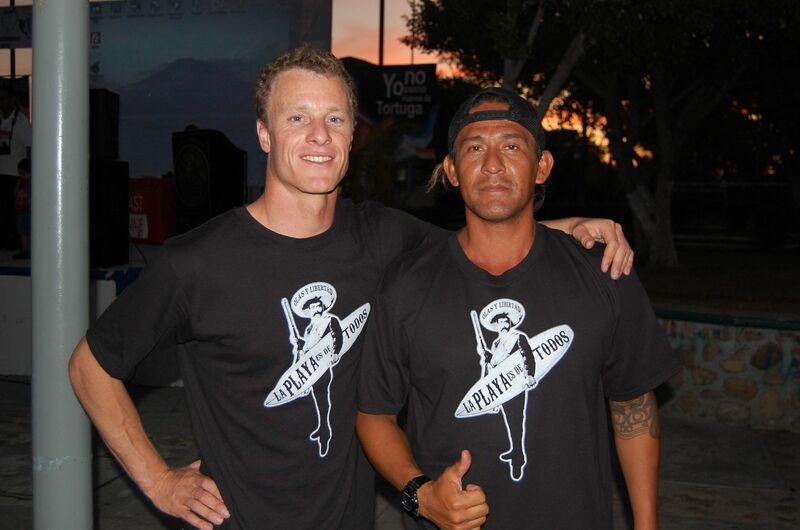 Revenues from surfing tourism are reinvested back into the community. During my dawn patrol the next day the surf was even bigger. The right point I surfed the previous morning was firing. I snagged a few hollow rights for a quick session before my return flight home inspired by the beauty of coastal Oaxaca and the determination of its people. 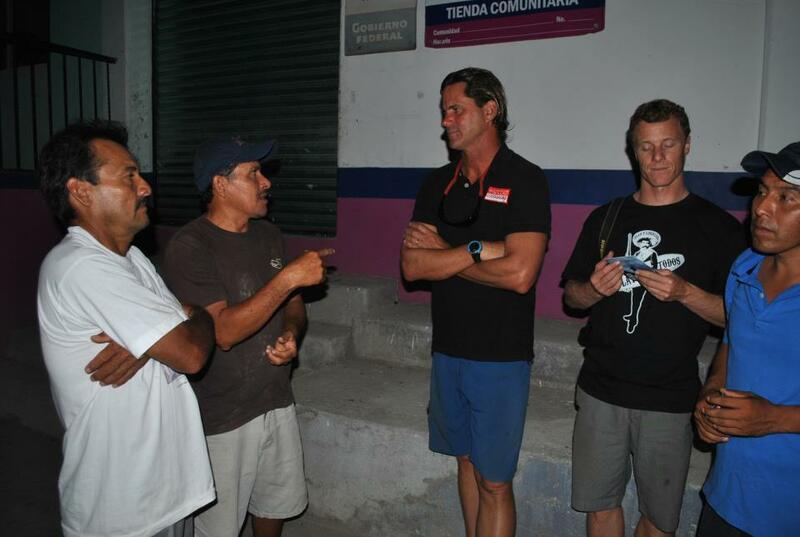 Thanks to the Ayuntamiento de Puerto Escondido, Centro Mexicano de la Tortuga, Parque Nacional Huatulco, and the community of Barra de la Cruz for their hospitality.